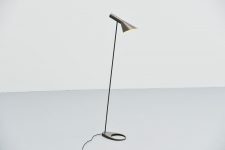 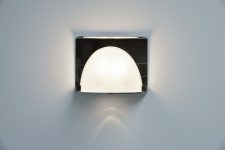 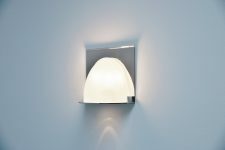 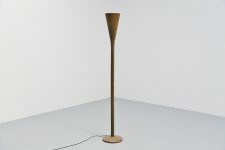 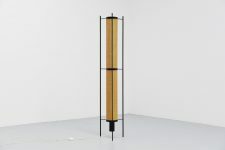 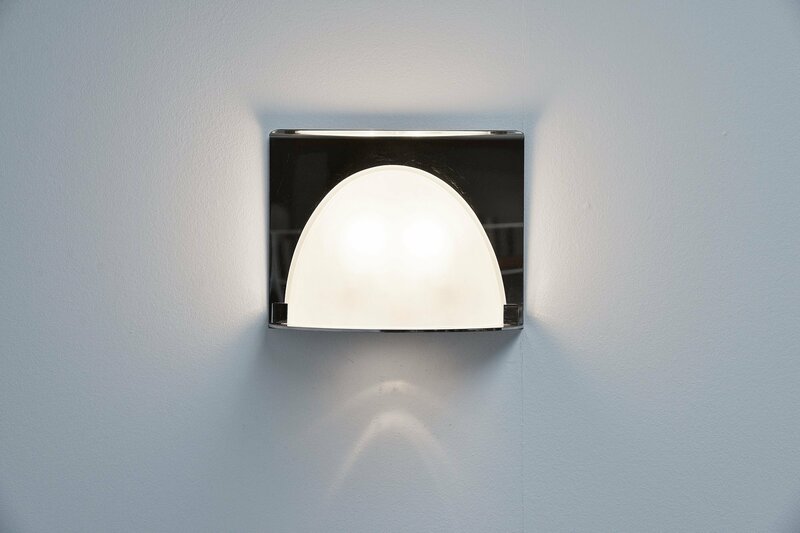 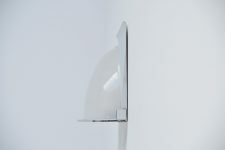 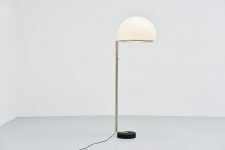 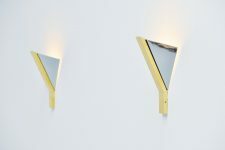 Large wall lamp model LP23 also called ‘Mezzovale’ designed by Luigi Caccia Dominioni and manufactured by Azucena Italy 1996. 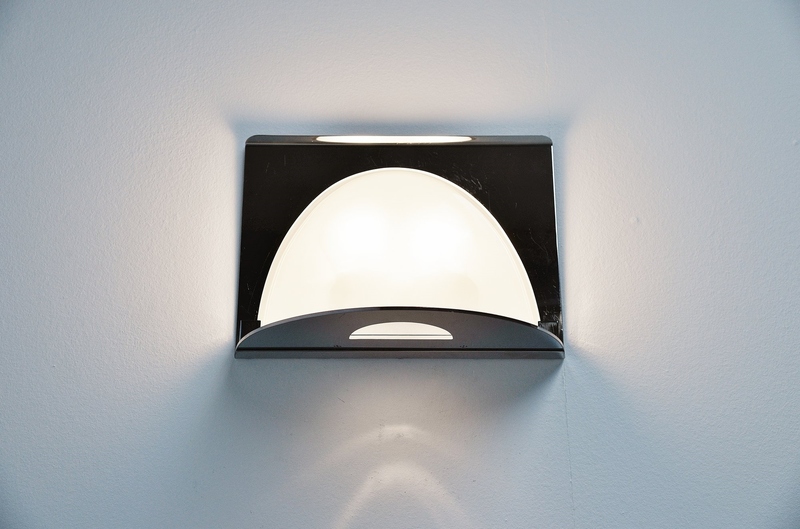 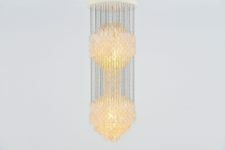 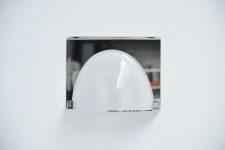 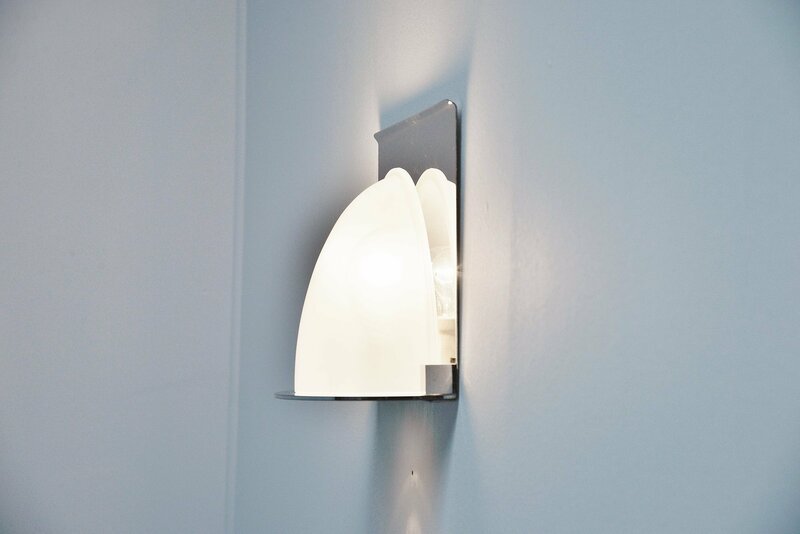 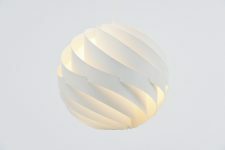 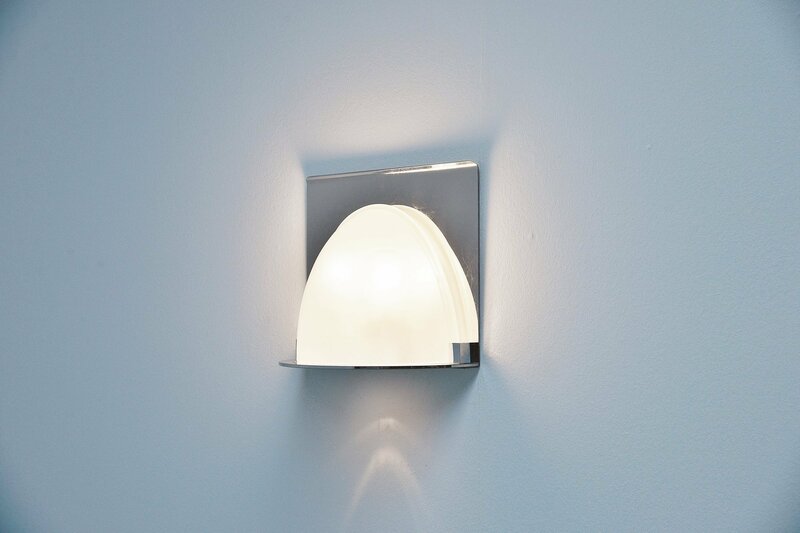 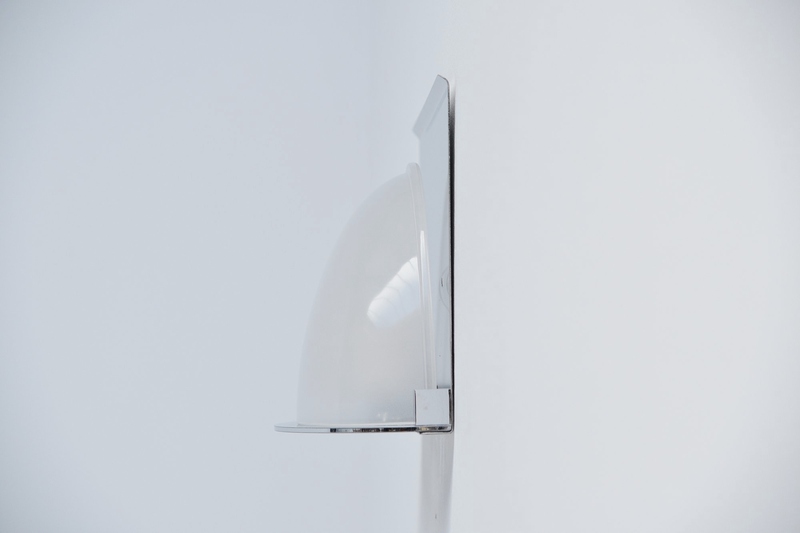 This wall lamp has a chrome plated metal wall plate and a frosted glass diffuser shade in front. 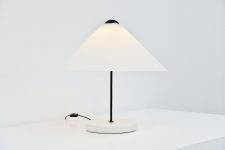 The lamp gives very nice warm light when lit. 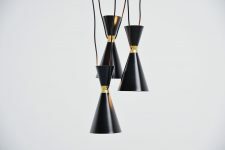 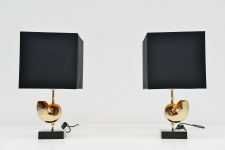 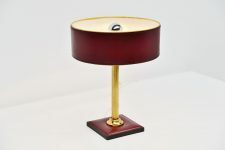 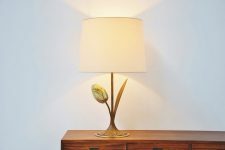 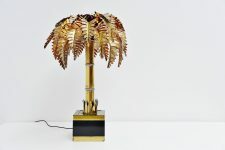 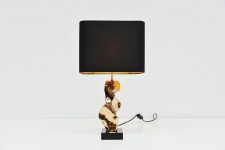 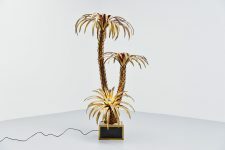 This lamp comes from an Azucena stock that we purchased, rare and hard to find lamp.